Today has been the nastiest in a long line of abominable Mondays. I don’t know what it is about Mondays, but I have endured a long string of unpleasant ones these past many weeks, and today pretty much takes the cake. One of those days where you *do* stuff for hours on end and yet accomplish nothing, and which defeats every attempt at salvage (and I’ve made several attempts at salvaging it). Bleugh. 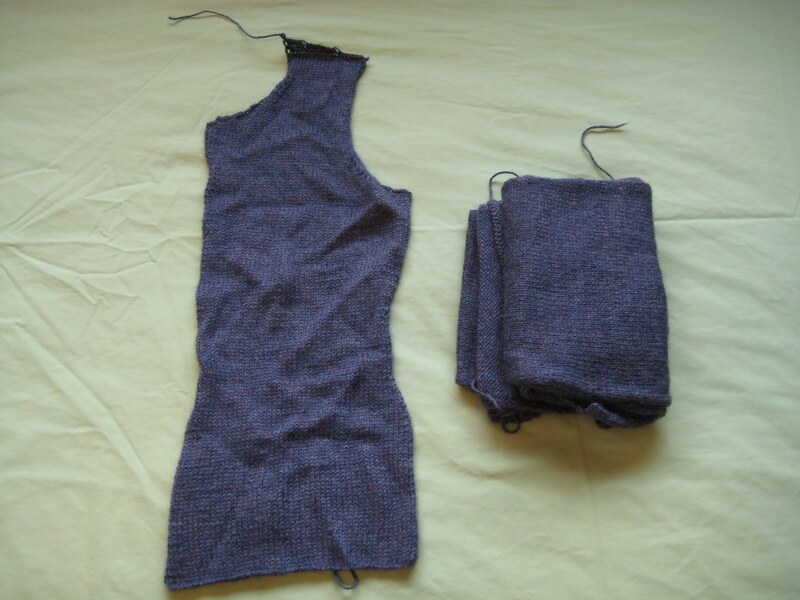 My one little bit of happy: I finished the left front of Mum’s Thundercloud Cardigan over the weekend and am into the waist shaping on the right front–the last piece.